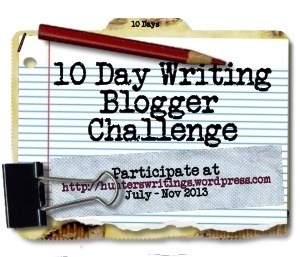 This entry was tagged Blogger, Blogging, Kent, Short story, Writer, Writer Resources, Writers Resources, Writing, Writing Blogger Challenge, Writing circle, Writing Prompts. Bookmark the permalink. Nopes, no author bio; i’m not too much of an author … hmm 😦 I’ll strive towards having one someday! I didn’t really think you could have an element of humour in it if you were sending it in a query letter, but I guess they want to see your personality. Hi Vikki, have you self-published anything yet? this is several years old and should be revised. Susan Koenig started writing fiction when she retired in 2009. It now has become almost an addiction, fueled by the amazing writers she has met online. Writing became a vehicle for meeting new and interesting people who she never would have met otherwise. Their support, encouragement and knowledge further induced her into discovering many writing avenues. As a result, her stories continue to evolve. Sue’s characters are a constant source of companionship and they all hope to make it into one of her (published) stories some day. She is an occasional poet and regular contributor to a monthly Haiku site, as well as a consistent participant on the blog challenge, Blogophilia, which weekly tests her creativity. Her poetry has been featured in a local online literary magazine. Her home isSouthwestern Ontario,Canada, where, when not writing, she and her camera take junkets to explore new inspirations for incorporation into her writing. duh – my excuse is I’ve been ill. One of the comments here made me realise my bio does not include Nineteen Hundred my short story self published last year. I really must pay attention! Had one. The cat ate it. Hairball. The dog ate it. No scraps of self remained. Bios are always hard….ask a kid for help? They strip stuff down to the real essence and message? I don’t think you did bad on the bio…has plenty of writerly things as well as a touch of the personal.